Be prepared for the most attractive application download trip you have ever felt! Find the numerous program sub categories, check the actual versions of the popular applications, and demo software programs for free. Get free admission to all types of notebook apps: business solutions and utilities, antiviruses, security solutions, and many others. The Softempire ultimate utility library grows permanently! Every new hour delivers exclusive new software applications here, the greatest tool solutions. Obtain for free and acquire a profit! Utility software downloads freeware, shareware, and demo Download now! System software planned to help analyse, configure, improve, and maintain the computer. first-class Disk utility software downloads for Windows 7. Windows utility software tool collection to evaluate, structure, and improve the works of the computer. 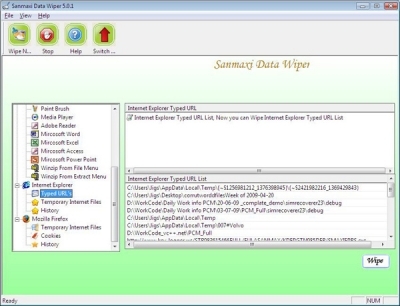 Data Wiper removes completely all deleted confidential files folders from your hard drive and USB drives. Generally when a user delete a file from hard disk, deleted data can be recovered by data recovery software's.